Lara was born in St Andrew, Jamaica where her family is based. Now living in the Greater Toronto Area she followed her dream of learning to knit, soon found groups of knitters, crocheters meeting in public – the pub was intrigued. 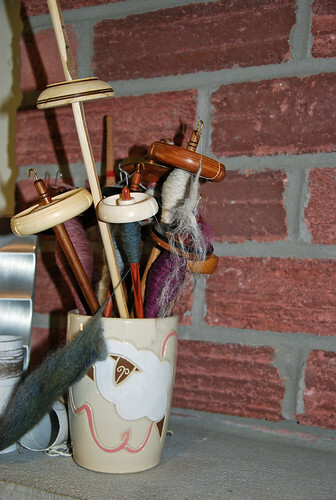 Seeing a spinner with a spindle on a yarn store visit opened a whole new way of understanding yarn & yes, winter. With a love of stories & reading Lara set out to learn more. Starting with a local Romney ram’s coloured fleece – the neighbours were intrigued – she found friendship, and the joy of working with her hands. Wool as a first thought was a solid foundation for natural dyes, weaving, a range of fibres. Antique Saxony flax wheel (presumed Canadian). © Lara, irieknit.com and theknitknack.wordpress.com, 2009- 2018. Unauthorized use and/or duplication of this material without express and written permission from this site’s author and/or owner is strictly prohibited. Excerpts and links may be used, provided that full and clear credit is given to Lara and irieknit.com with appropriate and specific direction to the original content. Hi KnixKnox playing with words and strings. Loving your sense of humour. 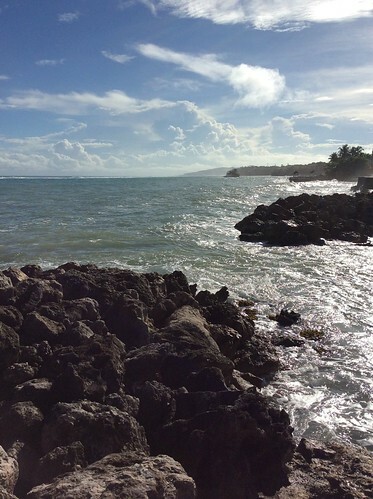 Purple’s mine too and just today got agreement to use it at Puerto Plata, which I hope you’ll see soon tho it’s not Sussex. Guessing that LYS is a local yarn shop?? Pardon my ignorance. Love the seafoam scarf. Thanks, Auntie G! I’m still working on my purple permissions here, so will love to see what you do! Yes, LYS is local yarn shop – I have 2 in our area. Am happy to take a seafoam order:) Best of luck with Puerto Plata!